Wow, wow, WOW, Cynde! 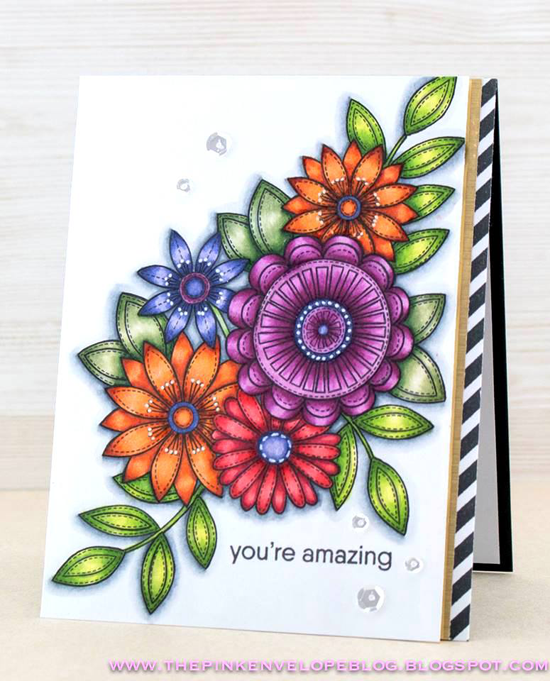 Your GORGEOUS card featuring the Funky Flowers stamp set pretty much knocked my socks off! Creative Team Member Joy Taylor spotted Annett's card on Pinterest and followed the link to her blog. Joy loved this super cute scene with dancing pigs. I love it, too! 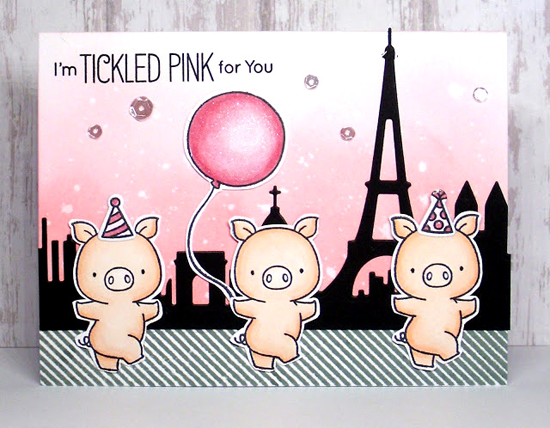 Hog Heaven and the Paris Skyline Die-namics are a really fun pair! Tricia rocked my face off with this entry for the MFT 10th Birthday Celebration Bonus Challenge! 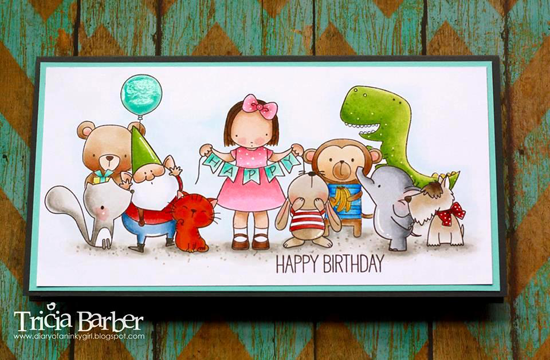 For her card, she incorporated MFT cuteness from 10 different stamp sets, masterfully masking them to create this adorable scene. What impresses me most is that she was able to choose characters that fit so well together in their size and dimension. It's like they were made for this card! There's still time to participate in this challenge. The deadline to upload is Wednesday, July 20, at noon EDT. One random winner will be announced on this blog Thursday! Hey, Heather! This is one fantastic and colorful card celebrating our 10th birthday! 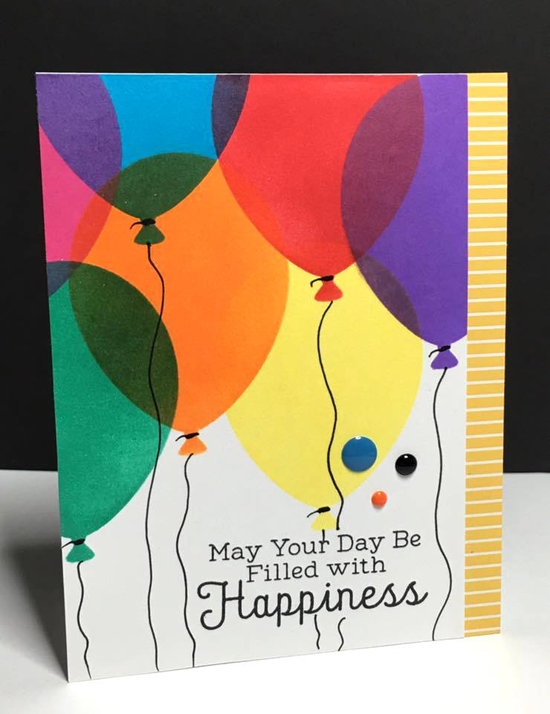 Your use of the Big Balloons stencil and Rainbow Greetings stamp set on this festive birthday greeting is quite delightful. Note: The Big Balloons stencil is currently out of stock, but if you click the link, you can subscribe to notifications to grab it when it's back in stock. This. Card. I am simply AGOG. 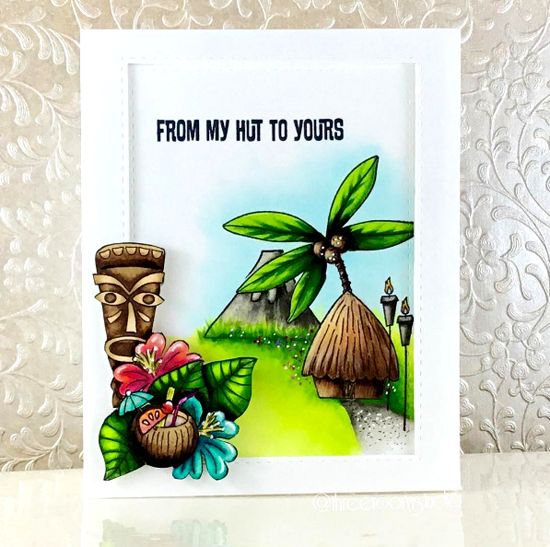 MFT Graphics Guru Laina Lamb spotted it on Instagram, and we think you'll agree that Sandy has done an utterly remarkable job of combining and coloring the images from our Tiki Party stamp set. Color us BLOWN AWAY. Thanks for using MFT, ladies! You've left us inspired, and that's what it's all about! See you tomorrow for another great Sketch Challenge, and look for the next MFT Color Challenge on Thursday, July 28th. Wow! These are fabulous finds! Wow! Fabulous cards. Amazing job. What an inspiration. These are all so beautiful! Congratulations to you all! So many talented crafters. Wow. All of these projects are just adorable.